Customized private lessons are conducted at either our training center or in your home, and last approximately 60 minutes each. 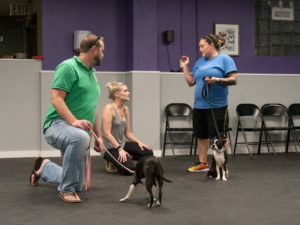 In contrast to traditional group classes, our focus is solely on you and your dog. This means we move at your pace and target the skills and behaviors that are important to you. Private lessons are conducted on a one-on-one basis with an experienced trainer, which provides for an optimal learning environment. This package is for those who would like to focus on basic obedience commands, or work on a minor behavior issues and manners. We will target the training for your specific needs and efficiently correct any problems. 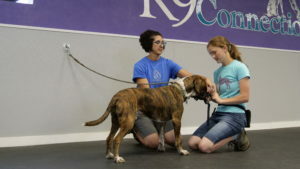 Reliable off leash obedience may be covered during this program as well, with appropriate equipment.